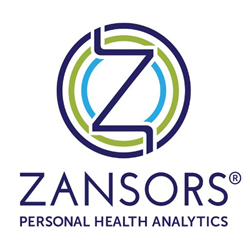 Zansors has secured a patent from U.S. Patent and Trademark Office (USPTO) for a wireless electrocardiogram (ECG or EKG) acquisition and monitoring device. This Zansors’ next-generation intellectual property (IP), will allow heart- monitoring devices to be integrated into clothing, or secured directly onto the skin, making them significantly easier to deploy and use. Currently, ECG sensors use old-standard technology that requires electrodes to be in contact with the wearer’s skin. Zansors’ new patented device uses capacitive sensors, a well-proven technology similar to the sensors found in cell phones and tablets. These sensors can measure electrical potentials without touching the body. Zansors is opening up a future that allows patients the same accuracy of readings on their mobile device that they currently can only experience in a clinical setting. According to the January 2017 American Heart Association Heart Disease and Stroke Statistics Update, the number of people diagnosed with heart failure is increasing and projected to rise by 46 percent by 2030, resulting in more than 8 million people with heart failure. ECGs monitor the heart’s electrical activity and can point to the cause of symptoms of heart disease. Zansors’ new patent will lead to monitoring capability in the hands of consumers who are at-risk for a cardiac episode. People will be able to share their ongoing results with their primary care doctor or cardiologist on a continuous basis, instead of at doctor’s visits. New medications or pacemakers that may affect the heart would be closely monitored to ensure they are effective. Global law firm DLA Piper’s Reston, Virginia location supported patent prosecution. For more information on this patent, view the summary. Learn more about Zansors’ technologies at http://www.zansors.com, where you can sign up for email updates, and follow us on Facebook and Twitter.